Black is a color that stands out no matter where you use it. 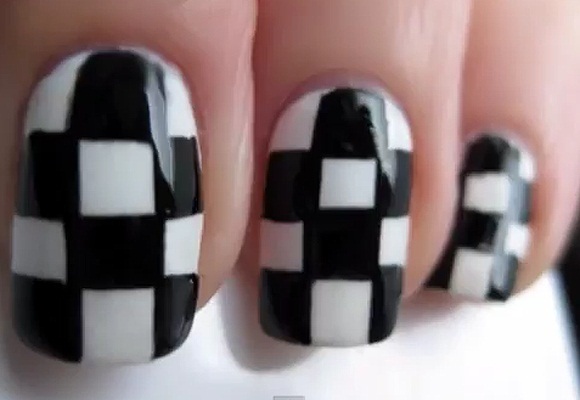 This monochrome color is often a favorite when you think of decorating your home, an outfit, and even your nails. 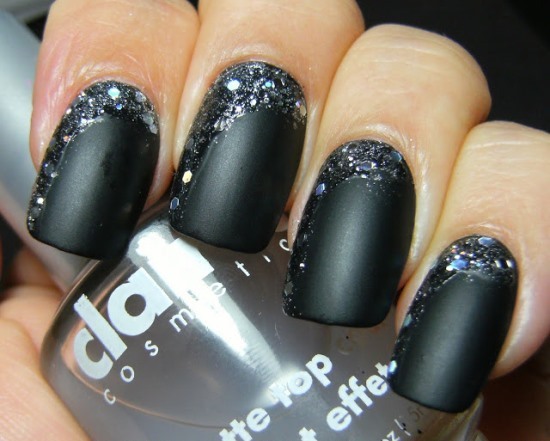 Black is a color that not only stands out but enhances the color it is used in combination with. 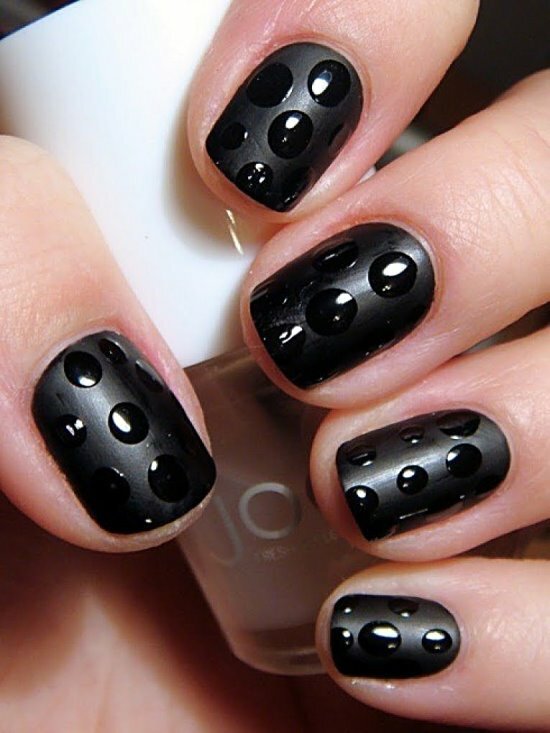 The color black has an interesting history in the world of fashion. 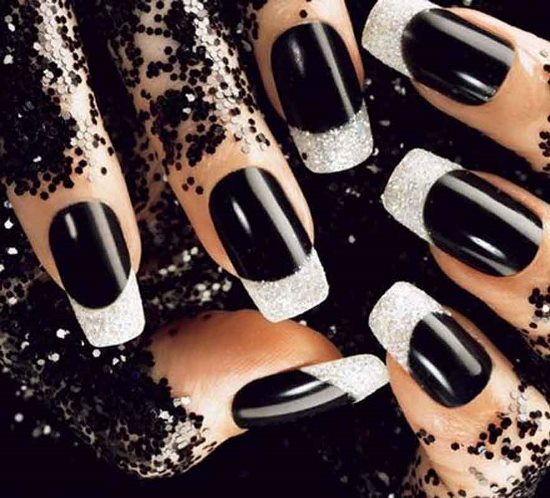 In the early days, black was not a color that was often worn or used by people. 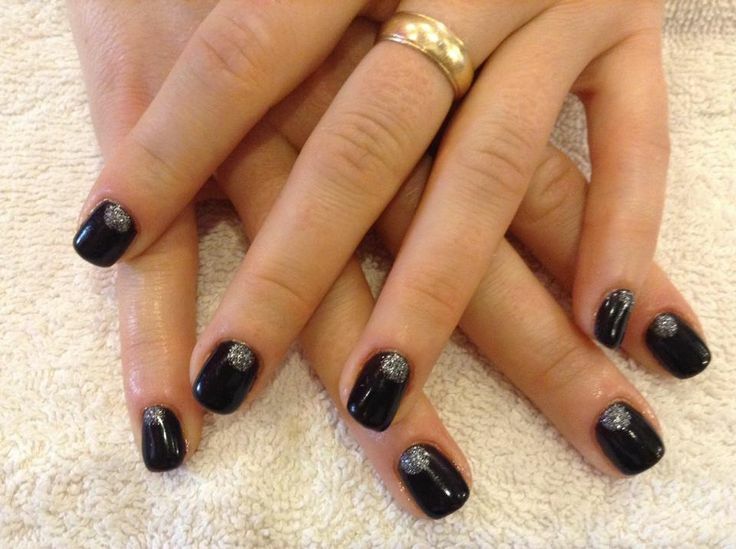 Black became a popular color with the nobility and people at important positions since the 14th century. After black became a popular color in clothes its popularity gradually transferred to nail colors as well, though much later. Black was first worn by rockers such as David Bowie and Freddie Mercury in the seventies. 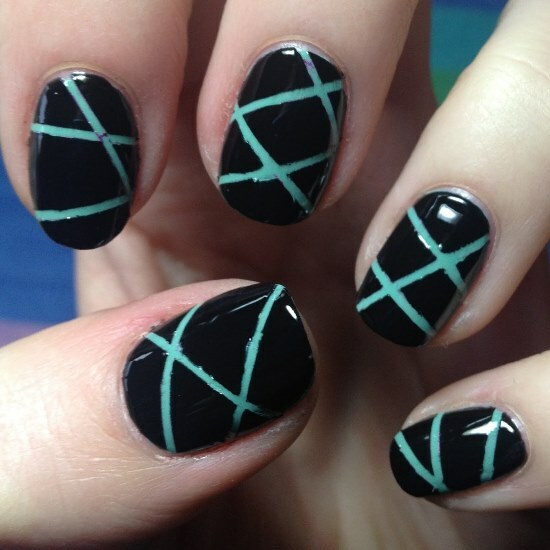 Their initiation completely changed the way black colored nails were looked upon. The generation of rockers that followed was quick enough to adapt this trend. 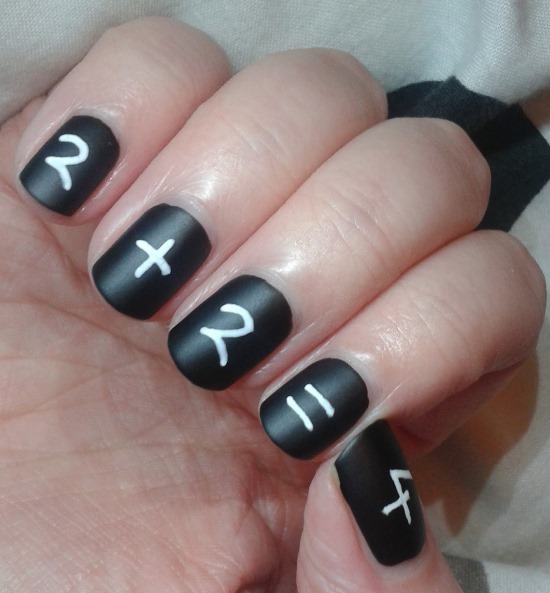 In the nineties, black nails more or less became a symbol of gothic. 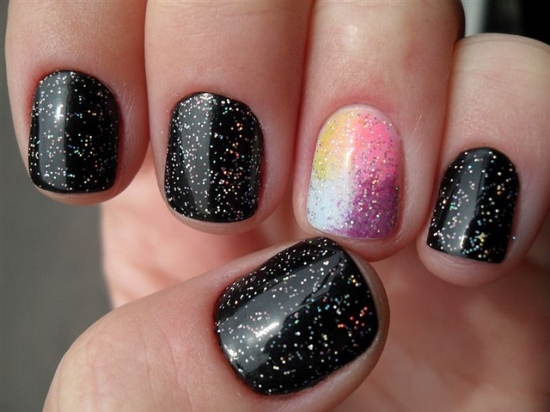 However today, nail polish, though used by some men, is more popular amongst women. 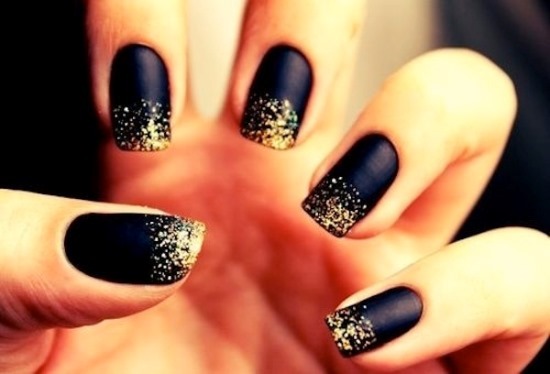 And the color black is just as much a trend and popular as are other colors. 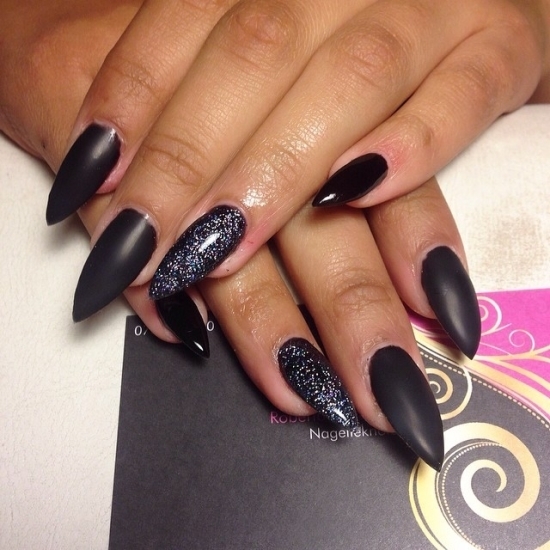 Black is no longer associated with just being a gothic symbol. 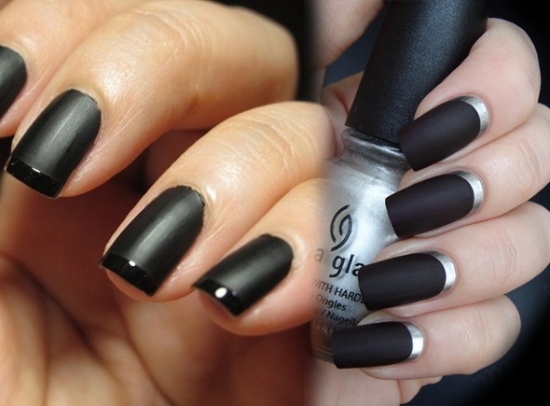 On the contrary, women wearing black nail colors are considered to be bold. 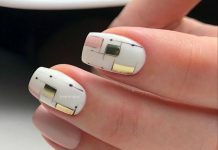 Just like almost everything you do or wear, even your nail colors say something about your nails. 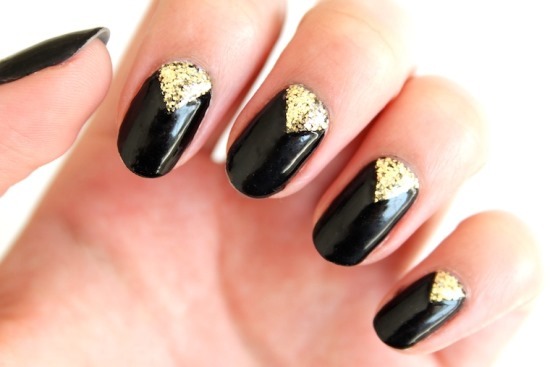 The color black, symbolizes women who think out of the box and are a bit of a rebel. 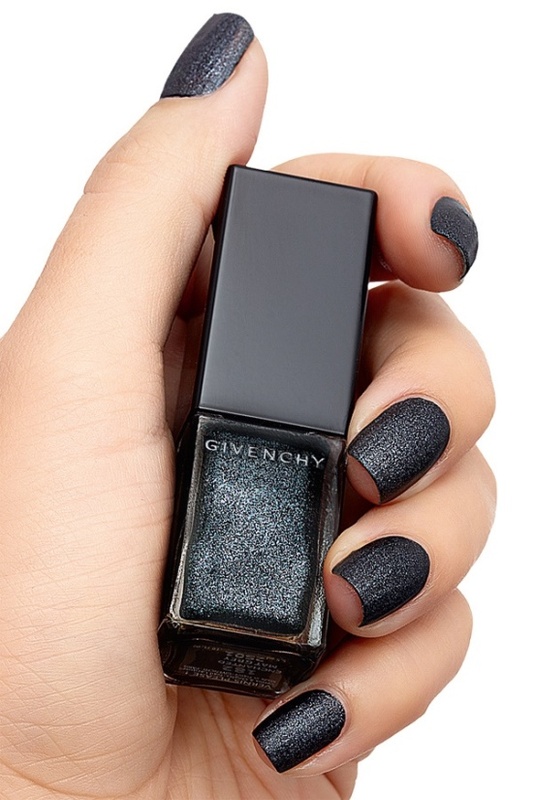 Wearing this dark and stormy color more over reflects the daring, ‘don’t mess with me’ kind of attitude in women. 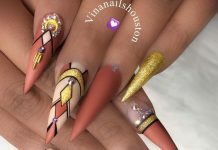 No longer symbolizing the gothic, black nail art tends to show some of the dark side that you might possess, making your hands only that much more appealing. 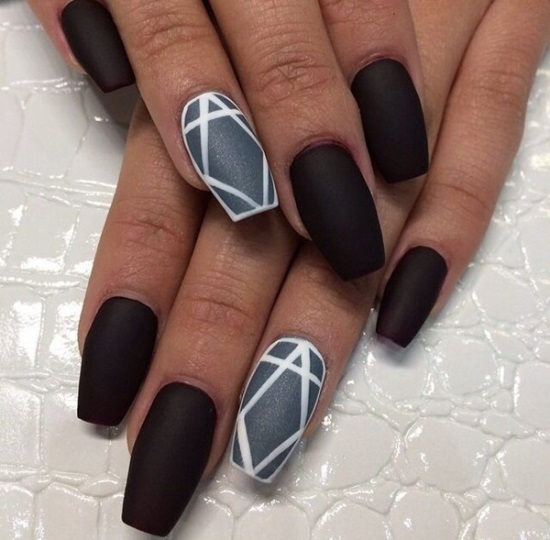 Black nail designs and the color itself is, however, a bit difficult to wear and pull off in comparison to other colors that you might choose. 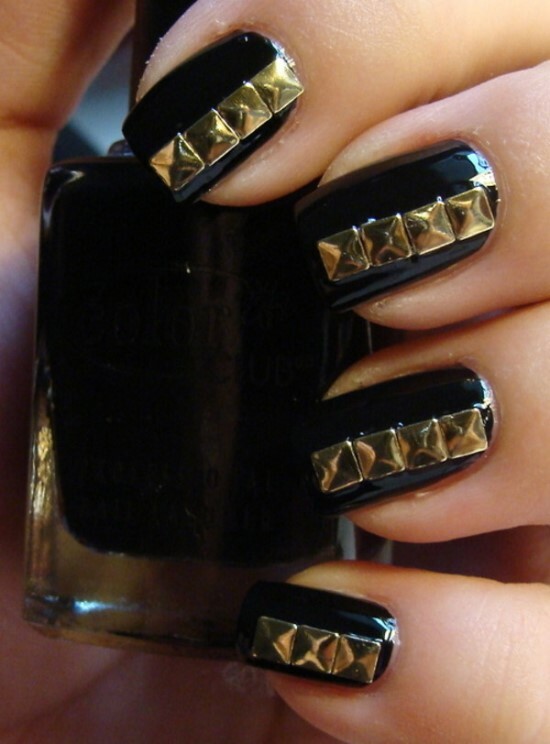 When you are putting on the black nail paint, it more or less becomes the focal point amongst your fashion accessories. 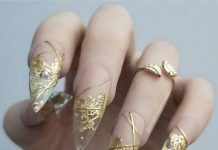 Hence, in order to keep the attention on your nails, you must take care not to put on black clothing or exaggerated jewelries. 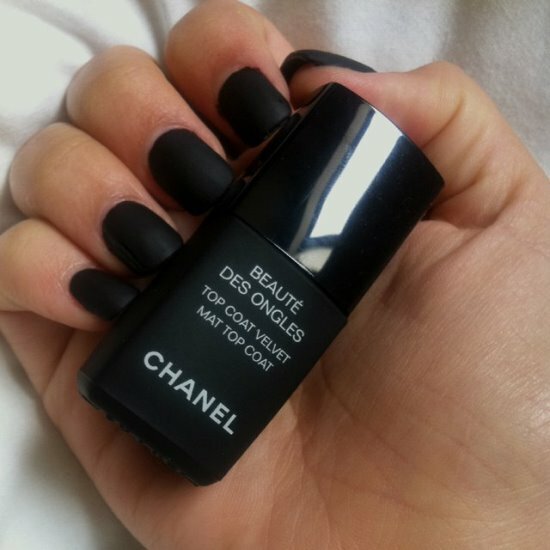 Another thing you should take care of is that black color looks better on short, manicured nails instead of long or fake ones. The latter ones actually may look scary, spoiling your entire look. 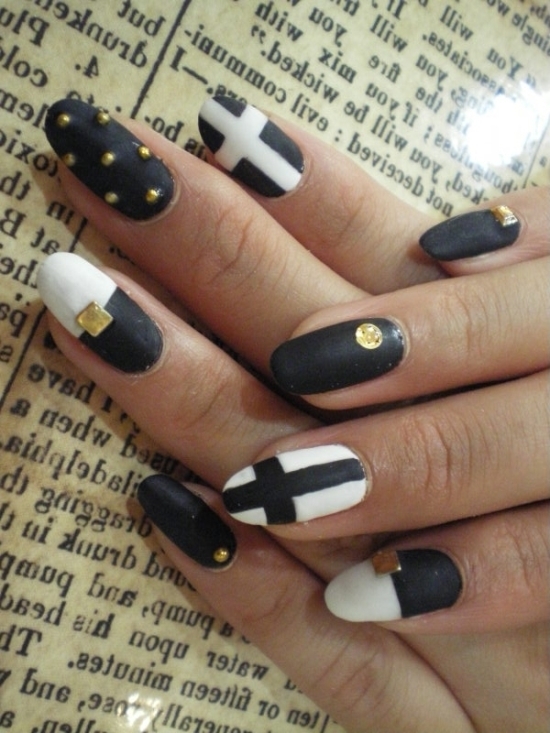 Monochrome themed nails, with black being the focus is also a great idea for painting your nails black. Other than that, you can combine black with any other color, especially those that accentuate and enhance the color black. 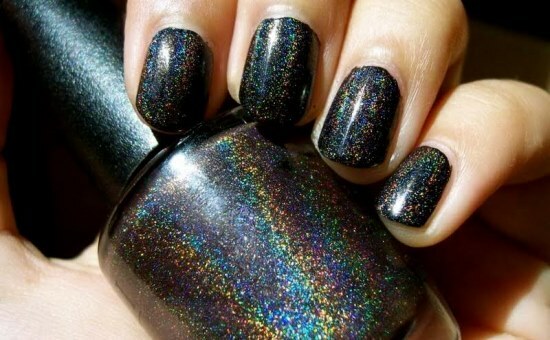 Generally, when used with light colors, black becomes the highlighted color on your nails, attracting more attention. 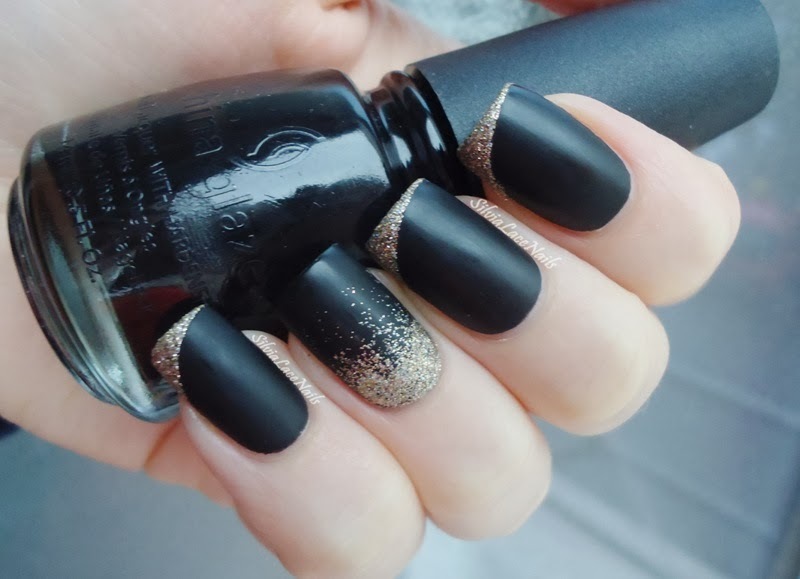 When used along with dark colors, black may as well blend in, and may turn into a fashion disaster instead of a fashion trend. 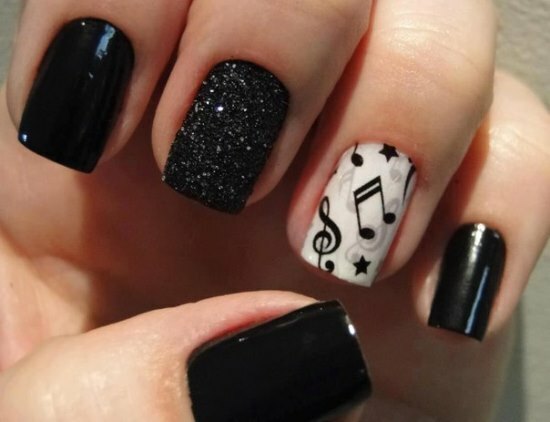 Here are 35 gorgeous black nail art designs for you.